Present state: Demolished - no evidence of the station remains. 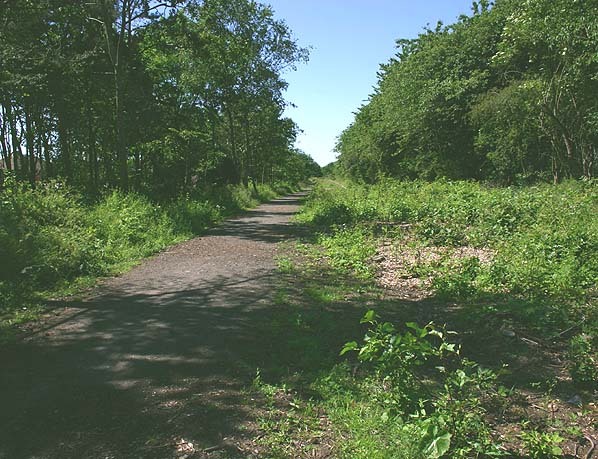 The cutting has been filled and leveled and the Brandon - Bishop Auckland Railway Path follows the line at a higher level. Brandon Colliery (closed 1968) was adjacent to the line on the north side of the village with a colliery line running on Brandon Colliery with a colliery line to Brandon Pit House Colliery (closed 1968). The line between Bishop Auckland and Durham opened to freight 19.8.1856 and to passengers on 1.4.1857 with three intermediate stations at Hunwick, Willington and Brancepeth. A forth station serving Brandon Colliery was added on 1861. To the North the branch joined the ECML at Rellymill Junction South of Durham where a line also trailed in from the left from the Lanchester Valley and Consett. 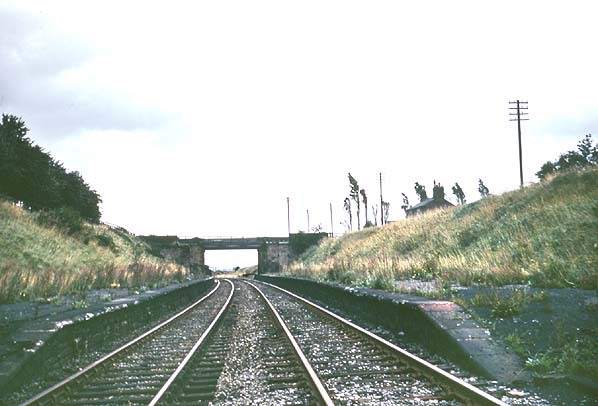 Deerness Valley Junction sited just south of Rellymill Junction on the Bishop Auckland line was a three way junction with the Waterhouses branch trailing in from the west and a spur to Lanchester Valley and Consett leaving to the North-West. 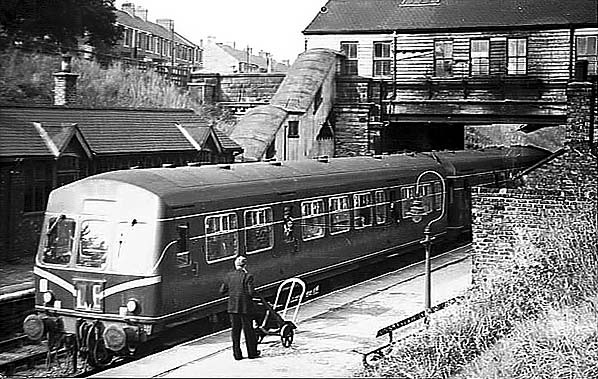 The line was occasionally used by mainline express traffic diverting to avoid engineering works between Darlington and Durham. 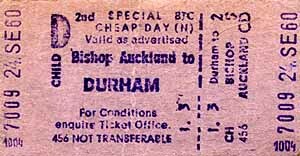 The Sunderland - Durham - Bishop Auckland passenger service ceased in May 1964 although it was re-opened for one day in July 1964 for Miners Gala trains from Brandon, Waterhouses, Ushaw Moor and Fencehouses and a few other stations. Freight facilities were withdrawn from Brancepeth, Willington & Brandon Colliery from 10.8.1964 (Hunwick lost its freight service in 1958) although the line remained in use for freight for a further four years.